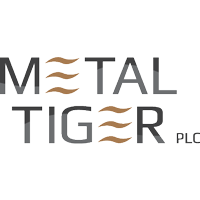 Metal Tiger plc (LON:MTR), the London Stock Exchange AIM listed investor in strategic natural resource opportunities, has today announced the commencement of drilling at Pan Asia Metals Limited’s wholly owned Reung Kiet Lithium Project in Phang Nga Province, Thailand. Metal Tiger holds a 13.6 per cent. interest in PAM. PAM’s surface work to date has produced average rock chip grades of 1.54% Li2O, with good tin and tantalum credits. Previous mining and independent reports at RKLP indicate excellent potential to discover significant lithium resources. PAM is a Singapore registered metals exploration and development company focused on the exploration and development of specialty and base metal projects in South East Asia. PAM has four wholly owned projects; Reung Kiet Lithium Project; Khao Soon Tungsten Project; Bang Now Lithium Project; and the Minter Tungsten Project. The RKLP, KSTP and BNLP are located in southern Thailand, whilst the MTP is located in the Lachlan Fold Belt, NSW, Australia.